During this two-session class students learn all the basic stitches of crochet (single, half-double, double and treble crochet), joining new yarn, increasing and decreasing over two 1 1/2 hour sessions. No experience required. 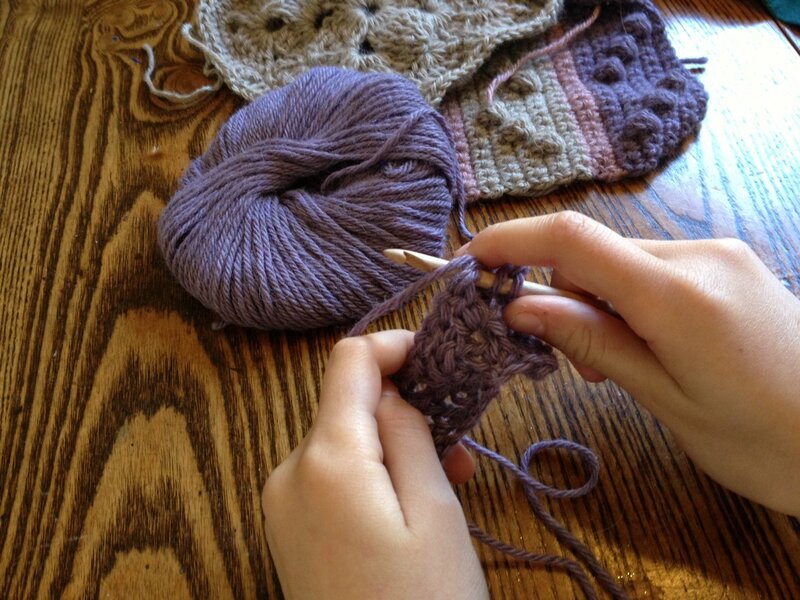 Your instructor will suggest a scarf or blanket for a first project. This class is appropriate for 8 years of age and above. Private lessons may be arranged for younger children. Additional purchase: light, solid color bulky yarn, size K or 7.00mm hook. How to Crochet book (optional). Come in to select your favorite yarn. We have many options. Requirements: Yarn, hook and other supplies additional. See full description.